What exactly is a smidge? It’s hardly an agreed unit of measurement, either by width or volume. I use it from time to time and always assumed it was a quaint olde English word from the 16th century, probably coined by Bill Shakespeare, who seems to have more coinages to his credit than extant plays. It’s actually a shortened form of the equally arcane smidgen – the origin of which is uncertain, but you can also spell it smidgin or smidgeon – and American English in its origin. WordPress wasn’t happy with smidge or smidgeon, giving them the red dotted underline of shame. All the more reason to use them. I was at my mother’s house in England the other day, casting an eye over all the toys we had as kids, which she has saved of course, and which her grandkids now enjoy. I came across the edge of a toy package from Mothercare. This company has been around for ages and is clearly a highly respected name in anything to do with children. I love the identity – which I think the company has now moved away from – with the little child image literally under the protection of the m of mother. What struck me for the first time that I can remember was how outdated the name was; the actual words mother and care put together to make a new name, as many company and product brands do. Back when Mothercare came into being, parenthood was possibly the almost exclusive preserve of the female parent, and that’s simply not the case any more. The funny thing is, and I feel this about many household names and brands, we never question the name. 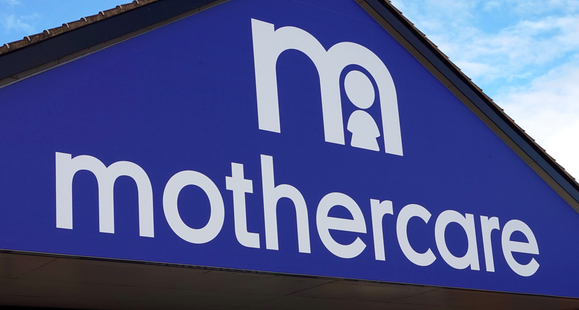 We see the word mothercare and we equate it with a parenting brand for children. This is what a brand does to us. We rarely take the name out of context, deconstruct it, before realising that it’s perhaps not as appropriate as it used to be. I think there are lots of examples of this, brands that we take for granted because they’re much more than the sum of their words. Lots of them, hiding in plain sight. I often see the words stationery and stationary mixed up. It’s an easy mistake to make, and is only an issue in the written word, since both words are pronounced identically and the context is usually clear. Stationery is a noun, meaning office and desk-type stuff. Think millinery, machinery, that kind of thing. Stationary is an adjective, meaning motionless. Think customary, arbitrary, and so on. And of course, because this is English, you get nouns like anniversary and adjectives like blustery :-). So, remember to keep your stationery stationary and you’ll be fine. Good luck! I was reading a software manual the other day – I know, very rock and roll – and a sentence began ‘To do so, go to…’. All quite legitimate and grammatical. Also, written by an organisation that doesn’t use English as a first language and whose author was Eastern European, betrayed by a few other incidents of phrasing elsewhere in the document. It got me thinking about our fabled, ancient, and multi-rooted English language, and how impenetrable it must seem to learners of the language. Not of the spoken language, but of the written language. The dictionary must be constantly at hand. We don’t even think about it as native speakers, but right there you’ve got five two-letter words, all ending in ‘o’. In order, one’s a infinitive prefix, one’s an infinitive verb, one’s a kind of adverbial thingummybob that can mean a bunch of things depending on where it is in the sentence, the next one’s an imperative verb and the last one’s a preposition. Phew! Not only that, but two of the words have completely different vowel soundings to the others. They’re testimony to how the language has evolved over the years. As a marketer, writer and communicator, I love words. They’re what I do. The other day I was flicking through a daily mood flip board that my wife gave me a while back. It has a huge range of one word, one emoticon options that sum up – and signal to others – how you feel that day. I eventually settled on ‘subversive’ – it was a Friday after all – but I digress. I came across the word ‘copacetic’. Ever seen or heard of it? Me neither. With my background in Latin and Greek I can sometimes figure out a word’s rough meaning from the roots, but not this time. Turns out it’s a North American colloquialism meaning ‘OK’, with an unclear heritage. Great word, isn’t it? A new one for us European English speakers to throw into the conversation. Last year a colleague of mine said: I’m never using the word ‘just’ again. The more I thought about this, the more I realised how right he was. It’s a nothing word, an excuse of a word, a word that devalues what you’re trying to say. It’s practically a synonym for ‘erm’. ‘Just’ belittles the worth of our contribution. It negates us. It’s a signal to the other person in the dialogue that subconsciously we don’t feel up to it.